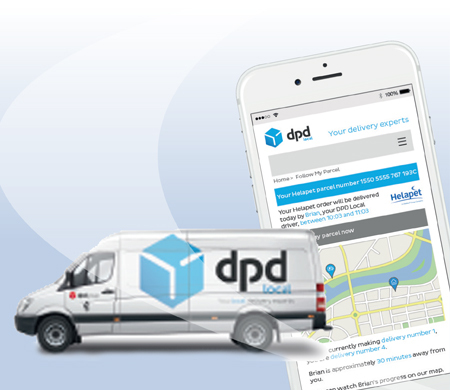 Helapet have teamed up with DPD Local to offer free email and text notifications for all our customers. We understand that our customers need their products to arrive on time and at the right address. This is why our notifications include your delivery date, time and location with the option to track your parcel in real-time. And if you need to reschedule your delivery, you can make changes on the day of delivery or the night before! Register today by nominating a contact and receive flexible delivery choice and a more convenient experience. To become part of this service, please nominate a delivery contact from your hospital/ company and fill out our online form with your contact details. Your nominated delivery contact will receive personalised text messages and/ or emails advising them of their Helapet delivery. Our advanced delivery notifications keep you informed from shipped notifications to your order being out for delivery. This is a free, complimentary delivery notification service for Helapet customers. If you have any specific questions or would like further information on this service, please contact our friendly team on 01582 501980 or email sales@helapet.co.uk. In order to receive notifications, you must nominate one contact and provide us with an email address and/or mobile number. 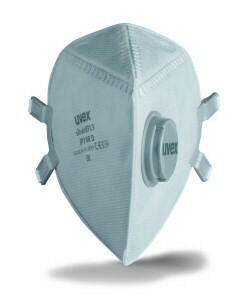 Take action against hazardous contamination with our new range of Berner FFP3 respiratory facemasks. Helapet are pleased to announce two exciting new additions to our specialist Berner range of protective PPE consumables; introducing the new Berner FFP3 Sterile Respiratory Facemask and Berner FFP3 BLS Zero 31 Facemask. High filtering capacity, tight-fitting, cleanroom ready. The folding Berner respiratory sterile facemask delivers approved FFP3 level protection against high concentrations of solid and liquid particles for controlled cleanroom applications. Ideally suited for users who need effective contamination resistance in sterile working environments, reducing exposure to airborne particles by a factor of 30. An integrated exhalation valve provides minimal breathing resistance and improves wearer comfort by reducing the build-up of internal heat and moisture. The cup-shape design with soft internal sealing lips provide a secure and comfortable fit. A four point adjustable headband and nose clip allows the user to easily wear the mask whilst allowing clear unimpeded vision. This facemask is entirely latex-free, minimising the risk of allergic reactions. 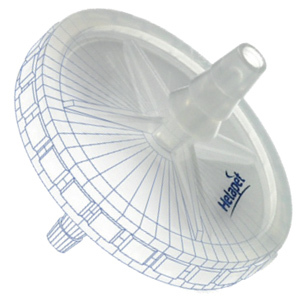 Supplied individually polybagged and pre-sterilised by Ethylene Oxide (ETO) makes the Berner FFP3 Sterile Respiratory Facemask ideal for practical transfer and use in aseptic working conditions. The Berner FFP3 rated BLS Zero 31 is an innovative facemask with in-built Nanofiltration technology to prevent the ingress of nanoparticles down to 0.001µm. Specifically designed to protect users against nanoparticle contamination that can easily enter the body due to their small size, the Berner BLS Zero 31 facemask combines FFP3 rated performance with minimal breathing resistance comparable to an FFP1 respirator facemask. 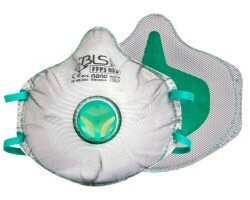 When fitted correctly, the BLS Zero 31 Facemask protects users by filtering at least 99.9% of airborne particles in accordance with EN 149:2001+A1:2009, whilst reducing heat and moisture build-up to improve comfort. The outer shell fabric is supported by a micro mesh net that protects against dust accumulation and mechanical damage, maintaining performance and efficiency over prolonged periods of time. The internal layer of the facemask is made from soft, polymeric foam with polyester materials that grant a comfortable yet secure seal, absorbing sweat to keep the skin dry and reduce irritation. 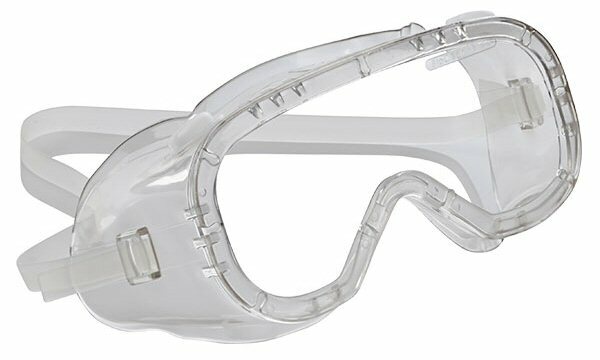 The elasticated straps and adjustable nose clip provide an effective facial fit without impeding on the user's vision, making the mask compatible with different forms of eye protection including overspecs and goggles. Berner represents top quality personal protection when working with hazardous chemical agents in sterile and non-sterile working environments. Safety, comfort and validated levels of protection are at the core of every Berner branded product. 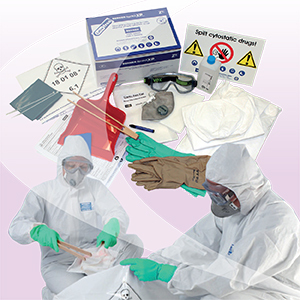 Our range of safety consumables include permeation tested, cytotoxic-resistant apparel (including protective gowns, oversleeves and cleanroom gloves), specialist cytotoxic spill kits, absorbent workmats and chemosorb pads. All our Berner products are type-tested against a list of commonly used drugs and chemicals, with full data available on request. 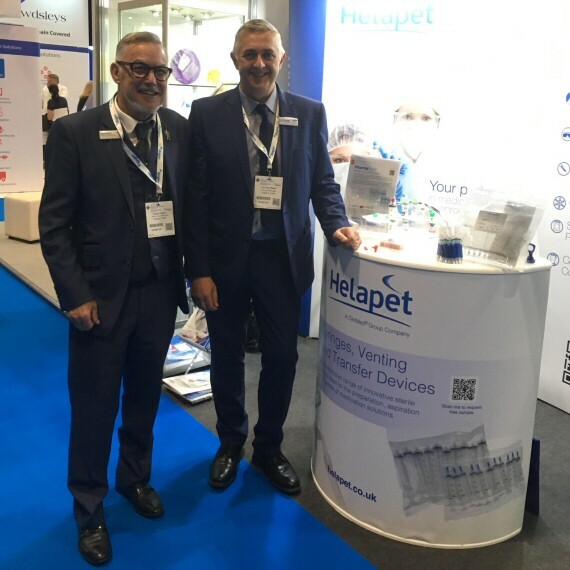 For additional information on the Berner FFP3 Sterile Respiratory Facemask or the Berner FFP3 BLS Zero 31 Facemask, please email sales@helapet.co.uk or call (0)800 0328 428. Feb 2019 - Poster submissions for The Katherine Miles Poster Award are now open! 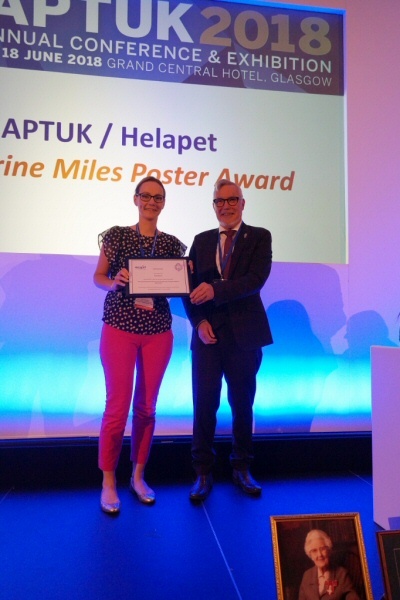 The Association of Pharmacy Technicians UK (APTUK) are calling for poster abstract submissions for the 2019 Katherine Miles Poster Award, proudly sponsored by Helapet Ltd. APTUK provides continued support in the training and development of Pharmacy and Healthcare practitioners. The Katherine Miles poster competition helps support creative thinking; using posters to illustrate latest research and generate new and valuable ideas. This award recognises the diverse practice of pharmacy technicians by sharing best practice, innovation, research, education and development. It is also a great platform for pharmacy technicians to showcase projects and achievements, as well as celebrating their innovative roles in contributing to excellent patient centred care. 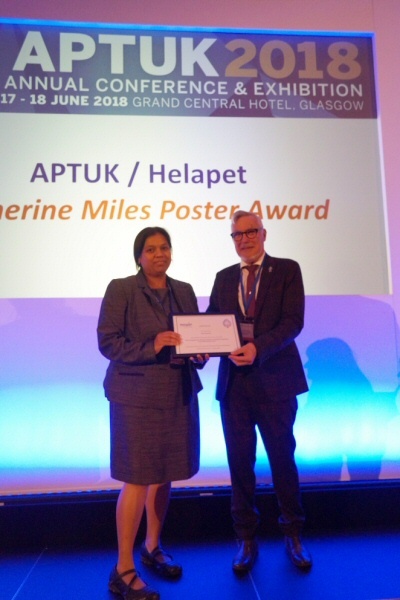 The winner of the Katherine Miles poster will be announced at the APTUK conference, held on the 13th and 14th September at the Ramada Birmingham Sutton Coldfield. Helapet are looking forward to seeing this year's poster submissions and to present this incredible award again at the annual conference. We love supporting and celebrating the work of pharmacy technicians! If you are a Pharmacy Technician and have a creative idea to share on best practice improvements in your department, please visit aptuk.org and enter this year's poster competition! 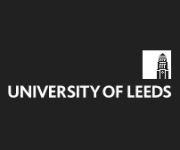 The deadline for poster abstract submissions is Friday 24th May 2019. Good luck from all the Helapet team! Winner presentations by Robert Collins, Senior Account Manager, Helapet. 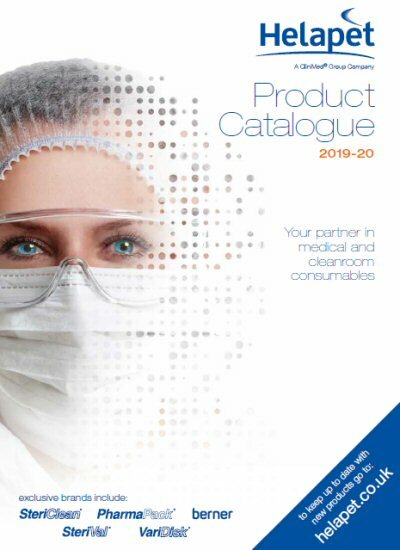 Feb 2019 - New 2019-20 Product Catalogue available now! It's here! We are excited to announce the release of our 2019-20 Product Catalogue. Our focus continues to be on improving customer experience and accessibility to our growing portfolio of cleanroom consumables and disposable inline disc filters. Our 52 page edition incorporates updated high quality visuals, content and navigation tools to support your purchasing needs. Colour-coded sections (i.e. for Cleaning and Disinfection products, think pink) combined with a handy new product code guide enables clients to precisely access specific products they'd like to order. New introductory section explaining more about our company, our values and why we should be your first choice in cleanroom consumables and inline disc filters. Improved access and usability with a new product code guide for quicker navigation, valuable links to downloadable instructions and "how-to" guides. Plus a complimentary free sample order request form, making it easier for you to "try before you buy"! We've refreshed our new edition with updated professional imagery and content, including the latest testimonials from our valued clients. We continue to develop our unique brands, offering our clients innovative, top quality products at competitive prices. With a new product catalogue comes brand new Helapet products, so what do we have for you to kick-off 2019? Provides effective eye protection and comfort in controlled environments. 100% latex-free for assured use by allergy suffers. 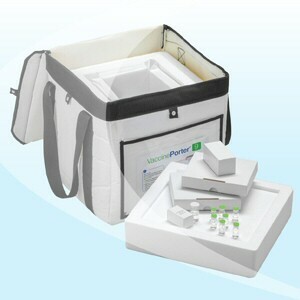 Helps facilitate the safe and efficient disposal of sharps in isolators and cleanrooms. Now triple polybagged and terminally sterilised, saving time and expense during aseptic transfer. Safely absorbs and contains up to 3L of hazardous chemicals including cytotoxics, converting the liquid into a gel substance allowing for safe and easy disposal. 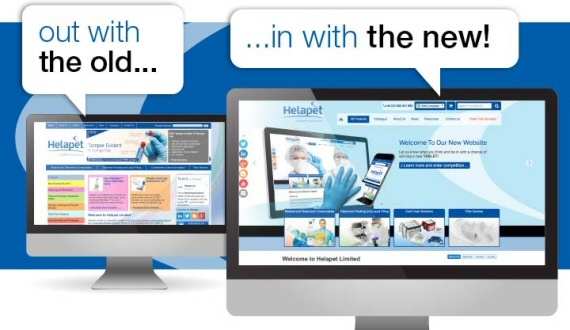 Remember to visit our website (helapet.co.uk) for further useful information and new product introductions throughout the year. Request your physical copy today by emailing sales@helapet.co.uk or download for free from our website. Quality disposable protection for your eyes and your cleanroom. Choose Helapet Sterile Single Use Goggles for optimum comfort and cleanliness in controlled working environments. 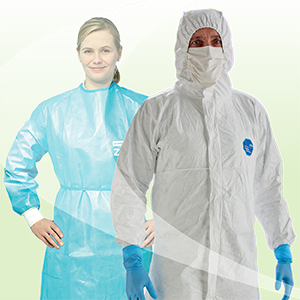 Helapet is proud to announce an exciting addition to our line of protective cleanroom apparel. Our new Sterile Single Use Goggles are Category 2 PPE certified and designed to provide secure eye protection, helping reduce the risk of eye splash contamination incidents. Manufactured from lightweight, ultra-soft PVC our new single-use goggles offer superior comfort and durability. They are100% latex-free which ensures this product is safe to use where latex allergies are a concern. Worn comfortably over prescription eyewear with ease, each pair have an optically correct toughened polycarbonate lens with anti-fog and anti-scratch coating to maintain clear all-round vision. Designed to be low linting, the goggles feature an indirect ventilation system to maintain user comfort and reduce the risk of contamination entering controlled environments. Presented individually packaged in non-particulate packaging and terminally pre-sterilised, Helapet's new Sterile Single Use Goggles maintain cleanroom cleanliness whilst saving time and energy required for manual sterilisation. For additional information on the Sterile Single Use Goggles or to request free trial samples, please email sales@helapet.co.uk or call T (0)800 0328 428. You asked and we listened! Our 7L Cyto Sterile Sharps Bin now comes with triple bagged packaging offering reduced time, energy and costs in multi-stage aseptic transfer. In response to customer demand, Helapet are delighted to announce a new triple poly bagged presentation of our 7L Cyto Sterile Sharps Bin launched in 2018. 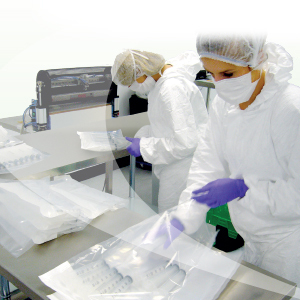 Triple bagged cleanroom consumables are ideal for stringent cleanroom transfer requirements, minimising the risk of cross contamination into high grade working environments such as isolators, laminar flow cabinets and other critically controlled environments. 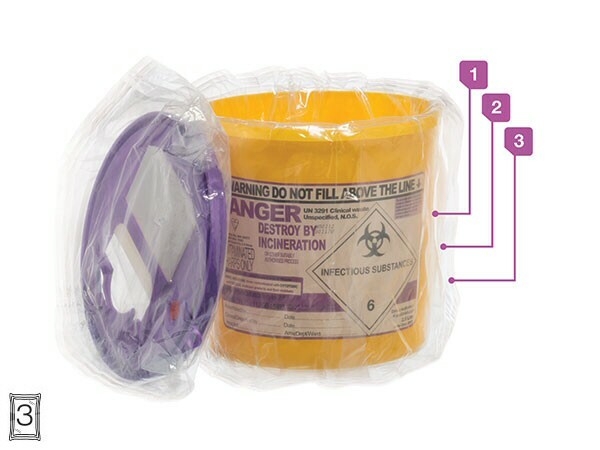 Our cytotoxic range are supplied with purple lids and labelling ensuring that they are fully compliant with current best practice guidelines. The 7L size comes with a wider aperture for easy insertion of larger items, plus an integrated handle for easier handling and transportation. Each container is cleaned and bagged in-house in our own ISO Class 7 cleanroom facility, ensuring our customers receive a quality finished product complemented with certificates of irradiation and full lot traceability. Helapet Sterile Sharps Bins are manufactured to the highest quality and comply with the latest waste guidance's set down by the Department of Health.oduct complemented with certificates of irradiation and full lot traceability. All our sharps bins have an integrated tamper-resistant closure that irreversibly locks shut once the bin is full, ensuring all sharps waste is safely contained and ready for proper disposal once the container is full.oduct complemented with certificates of irradiation and full lot traceability. 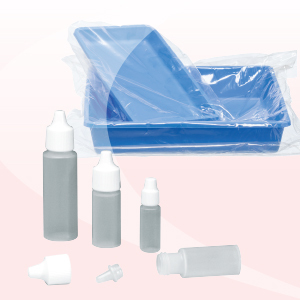 Available in four popular sizes from 0.6 litre to 7 litre capacities, we offer two colour coded tops for proper disposal of contaminated sharps using general medications or hazardous cytotoxic drugs.oduct complemented with certificates of irradiation and full lot traceability. 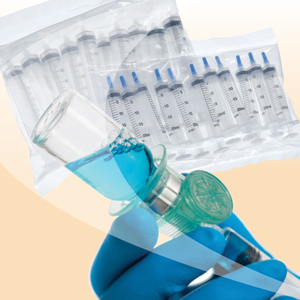 For critical environment applications all Helapet Sterile Sharps Bins are individually double bagged as standard and sterilised by gamma radiation to no less than 25 kGy. 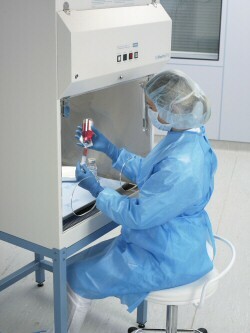 Reducing time and the need for excessive spraying and wiping, each Sterile Sharps Bin is supplied cleanroom ready for immediate transfer and use in high grade environments, including laminar flow cabinets and isolators.oduct complemented with certificates of irradiation and full lot traceability. For additional information and to request free trial samples of our Sterile Sharps Bins, please email sales@helapet.co.uk or call T (0)800 0328 428. 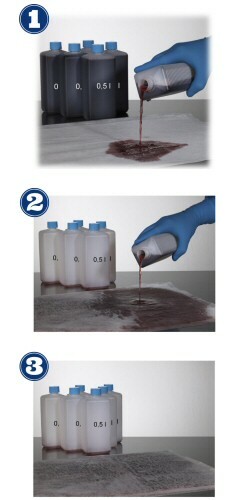 Introducing the new ChemoSorb Pad from our exclusive UK range of Berner brand protective products. An innovative way to safely manage hazardous spillages. 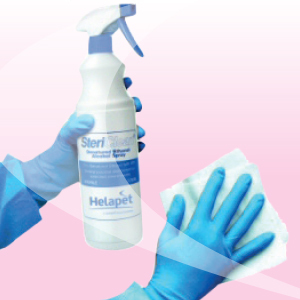 Helapet is proud to announce an exciting new addition to our Berner range of speciality cytotoxic-protective products: the Berner ChemoSorb Pad. Lightweight and highly absorbent, each single-use disposable pad can safely absorb and contain contaminated spills, leaks and drips converting the liquid into a gel-like substance that can facilitate safe and easy disposal. 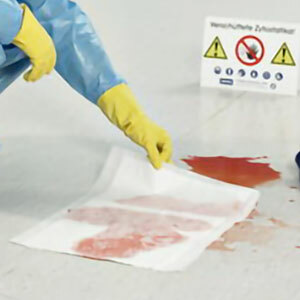 In situations where the accidental spill of cytotoxics, hazardous chemicals, liquids and other wet substance can happen, Helapet's new ChemoSorb Pad can be gently placed over the spill, absorbing up to 3L of liquid per pad. When it has reached its full capacity, the locked-in substance is drip-proof and ready to be correctly disposed of in accordance with standard procedures. 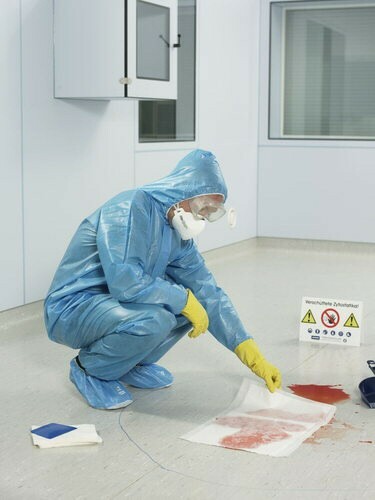 The low-linting material is designed to minimise contamination risk when transported in the controlled working environments cleanrooms, plus being 100% latex-free prevents the risk of allergic reactions. 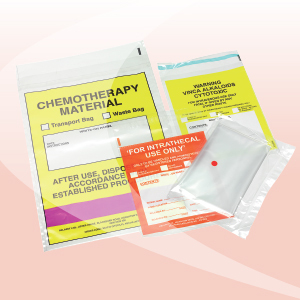 A highly versatile product, ChemoSorb pads are ideal for containing hazardous spills, as a base for storage or transport containers, or for leaked fluids in theatres and wards. 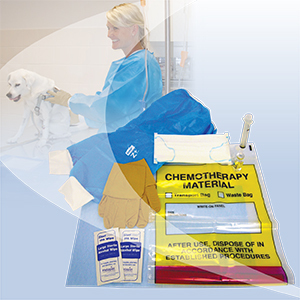 For additional information on the Berner ChemoSorb Pad please email sales@helapet.co.uk or call T (0)800 0328 428. Helapet are pleased to announce our exhibition schedule for 2019 with our attendance at several industry events across the country. 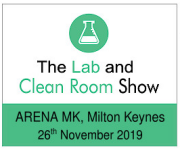 Come and meet our friendly team of experts who will be delighted to meet you and give full advice on our comprehensive range of quality cleanroom consumables and inline disc filters. Our schedule is likely to change, so stay tuned for further updates on our website or why not sign up to our mailing list! Planning on attending one of these events? Let us know and we will be delighted to welcome you on our stand! Email info@helapet.co.uk for more detailed information. Helapet are pleased to announce our exhibition schedule for 2018 with our attendance at several specialty events across the country. Come and meet our friendly team of experts who will be delighted to meet you and give full advice on our comprehensive range of quality range of products! Our schedule is likely to change, so stay tuned for further updates on our website. Plus let us know if you are planning to visit our stand this year by emailing info@helapet.co.uk. Spring has sprung and as we fall into this season we are looking ahead to confirm our order and delivery schedule for Easter 2017. We would like to advise our customers that we will be closing this year at 5pm on Thursday 13th April, and will re-open normal business hours on Tuesday 17th April 2017. 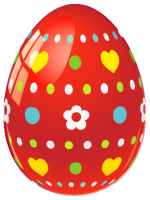 It is all so very egg-citing, it raises my hare's! For information and delivery times for countries outside of the UK, please email us at sales@helapet.co.uk. Please note, dates are subject to couriers and availability of stock. 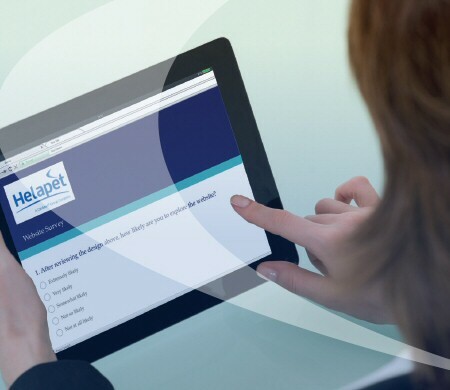 "Accessing Helapet products just got easier"
Taking a fresh view in the development of our website, we have kept the user firmly in mind with a decluttered and simplified design, supported by optimised navigation and easy-to-use menu selections. Fully compatible with today's browsers and mobile technologies, visitors can enjoy full and easy access using any mobile device, from any location. We have also included significantly more content with richer product information and details about our products, reflecting our dedication to quality service and customer support. 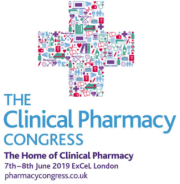 The Clinical Pharmacy Congress is the UK's largest gathering of clinical pharmacy professionals and Helapet are excited to be an important part of it once again. Taking place on 12th and 13th May, be sure to register today and visit Helapet on stand H20 to learn more about our products and services. Jan 2017 - 2017 Product Catalogue - Available now! 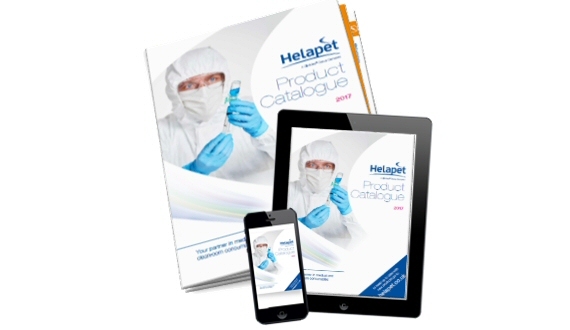 Our latest publication of the Helapet Product Catalogue has arrived! 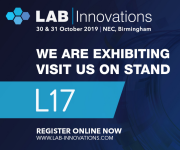 Packed full with an extensive portfolio of quality medical and cleanroom consumables, tested and validated for critical environment activities. Providing you with the best solution for your application requirements, all compiled into an easy-to-read 44 page essential product guide. For more information about our products or to request free samples email sales@helapet.co.uk or contact 0800 0328 428 now! 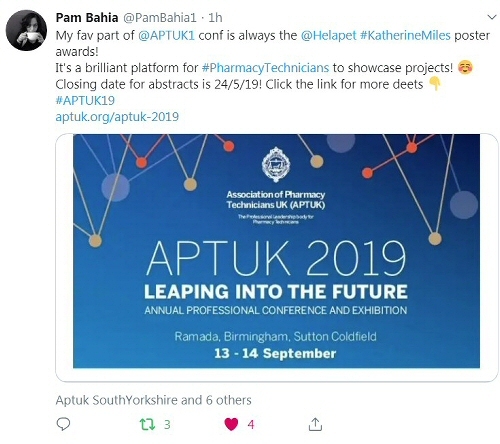 The Association of Pharmacy Technicians UK (APTUK) celebrated their 60th annual conference this year at Aston University, Birmingham. Run by pharmacy technicians for pharmacy technicians, the APTUK provides continued support in the training and development of Pharmacy and Healthcare practitioners. 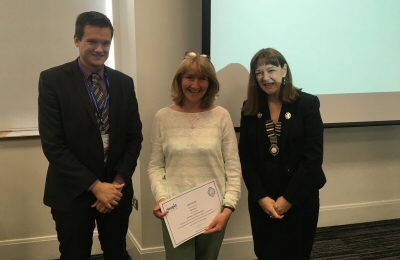 Helapet were pleased to be the corporate sponsor and present the Kathryn Miles Poster Award at their annual conference. The Kathryn Miles competition helps to support creative thinking, using posters to illustrate latest research and generate new and valuable ideas. 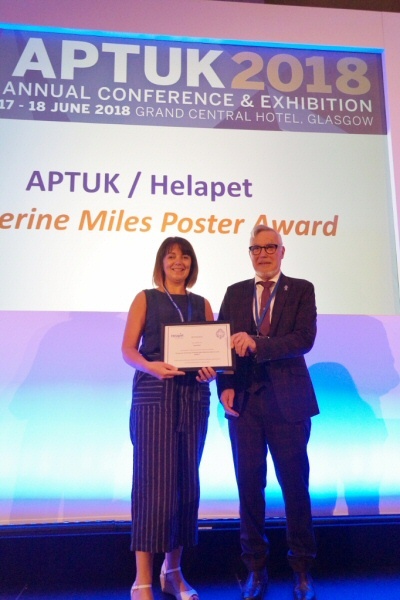 We are pleased to announce that Joanna Correa West, Marie Slimm, Ruth Shuard & Beth Barrett of Birmingham Children's Hospital NHS Foundation Trust became the official winners of the APTUK Katherine Miles poster competition 2016, sponsored by Helapet. Their poster on "Pharmacy Technician extended role into medicines administration" secured them a cash prize of £250 and their names on the board of poster winners.A huge thank you to everyone who participated and congratulations to our worthy winners and runner-ups! APTUK have confirmed that the 2017 APTUK conference will be held on 2nd and 3rd of July at the Hilton Hotel in Cardiff. If you have a creative idea to share on best practice improvements in your department, be sure to visit aptuk.org to see how you can enter in next year’s competition! Photo: Beth Barrett receiving 1st place on behalf of her team at Birmingham Children's Hospital NHS foundation trust. 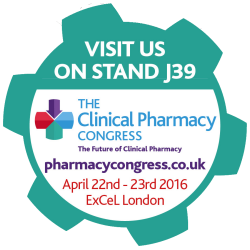 Apr 2016 - Coming back to the Clinical Pharmacy Congress . . . Being the UK's largest gathering of clinical pharmacy professionals, now in its fifth year running, this year The Clinical Pharmacy Congress will hold over 2,300 pharmacy delegates and over 150 exhibitors and partners from across the nation… and Helapet are excited to be an important part of it once again. This year is going to be a big one, as the congress will expand to include aseptic services, radio pharmacy, production manufacturing and quality assurance and control. 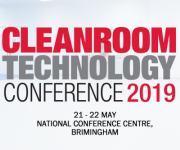 Taking place on 22nd and 23rd April, be sure to register today and visit stand J39 to learn more about our all new and improved 20mm needle-free Vented Vial Adapter, plus many other specialist consumables in our range. We look forward to seeing you there!